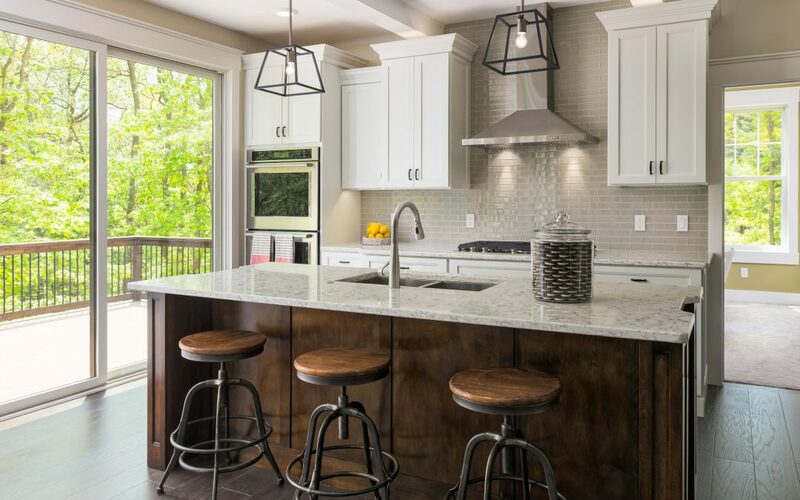 If you’re looking for a true custom home builder in Grand Rapids, you’re probably looking for a home that suits your taste, your design specifications, your lifestyle, and truly feels like home. Whether you have a floorplan in mind already, or you just have a general idea of what the end product might look like, you want a custom home builder who will respect your design ideas. After all, it is your custom home. So how do you make sure you’re going with the right Grand Rapids custom home builder? In this blog, we’ll give you a few suggestions about what to look for in a custom home builder, and we’ll also point out a few red flags to avoid. What many prospective home buyers don’t know is that a lot of “custom” home builders won’t give you complete creative freedom to design your home. And sure, any home builder is going to have to comply with things, like code requirements and structural integrity, but there are a lot of “custom” home builders out there who won’t customize beyond a list of preset floorplans. It’s important that you talk with prospective home builders about design before you ultimately hire them. If they’re not willing to deviate from their own list of preset floorplans, or if they won’t work with you on custom design elements, then they’re not really a custom home builder, and you can do better. In many cases, potential home owners come into a builder’s office with a floorplan they found online that they’d like to use. While it’s true that even a real custom home builder might not be able to recreate it perfectly, taking into account different regional building codes and different landscapes, a decent home builder will be able to work with you to come up with a design that you’re excited about and works for your family. If they have their own design team, or regularly work with professional designers, then you’re in good hands. A good custom home builder will be willing to work with you to create the custom home that you’ve been dreaming of, and won’t confine you to a set list of already created floorplans. Another consideration when looking for a custom home builder is how they price their jobs. When it comes down to it, you want a builder to work with you on a budget range that your project will fall into. Anyone that gives you a flat, fixed price upfront may not be a true custom home builder. A fixed price home building project will not allow for major changes down the road. You won’t be able to change countertop materials, rework the design of the kitchen, or even change the tile in the bathroom. You’ll be locked into the selections that you made before you even start. While this might be fine for some, at this point, you’re not building your custom home. A custom home means that you have the freedom to design a home that’s truly you. It doesn’t mean being locked into one of three selections in order to achieve a fixed price. Did the builder complete the project on time? Was the builder able to stay within the budget? Is the homeowner satisfied with their new Grand Rapids custom home? Do they feel that they had enough input in the building process? Did the builder accommodate their unique design ideas? Does the builder follow up with any issues after the move in? By talking to references, you’ll get a better idea of who you’ll be working with, and you’ll have a better understanding of how your custom home building project is going to go. Additionally, it’s a good idea to ask about a builder’s warranties before you even get started on a project. First and foremost, you need to know if they will stand behind the work that they do for you. Most builders offer the standard one-year builders warranty, and great custom home builders also offer a 45-day fix-anything-warranty. This means that in the first 45 days in your home, if you notice anything that’s off, a baseboard that’s scuffed or a crooked light fixture, they’ll come out and take care of it for you, free of charge. As a final point of caution, you should double check that any Grand Rapids custom home builder you plan on working with is licensed and insured. You don’t want to work with anyone that isn’t, as that’s a serious liability for you. You can easily verify a West Michigan home builder’s license online via the Department of LIcensing and Regulatory Affairs. Insurance information isn’t available online, but you can always ask your builder for a copy of the certificate. A great custom home builder is not going to be the cheapest option. That’s because they hire quality sub-contractors that they know do great work, and they don’t rush their workers. And really, when you’re building a custom home that you’d like to live in for decades, you don’t want to cut corners. You want a beautiful home, made just for you, and built to last a lifetime. So, note that a really low bid is a bad sign, not a good one. Sketchy deadlines are another red flag to watch out for. If a builder doesn’t give you a deadline, is waffly about it, or gives you a date that seems too good to be true, it probably is. A standard estimate for a custom home can range anywhere from 5-8 months all the way to 1-2 years, depending on the size and scope of the project. A reliable builder will provide you with a schedule before you sign the contract. It’s a good idea to check their references to make sure they’ve stuck to that schedule in the past. Quality custom home builders will also set preliminary deadlines, like when the foundation will be poured, and they’ll keep you updated of when they hit those deadlines or are a few days behind. Watch out for anyone that refuses to give deadlines upfront, or consistently misses deadlines. Finally, a builder who doesn’t communicate regularly is not your best option. This is your new home, and it’s a big investment. You deserve to know what’s going on with your project at all times. A builder who doesn’t get back to you quickly about questions or concerns is a major red flag. This means they’re either not that committed to your project, or they’ve taken on too many projects at once and don’t have time to dedicate to just your project. The best sign of a quality custom home builder is one who calls you right back, answers your questions to the best of his or her ability, and does their utmost to make sure you’re included in any change in your project. Because it is your home, not your builders. If you’re having trouble deciding on a Grand Rapids custom home builder, give Whitmore Homes a call. We’re an experienced West Michigan custom home building company, with a strong background in engineering and design, and we’re here to help you create your forever home.